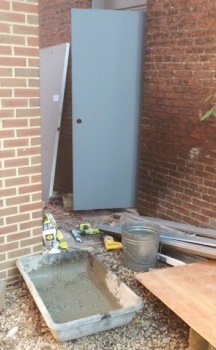 For people with doors in your commercial establishment or household which should be serviced or installed, King Door and Lock Maryland and DC has got the finest door installation Wicomico County, Maryland service. We will give assistance with any non-commercial doors or industrial doors you need installed, replaced, or repaired in Maryland. We’ve got several years of experience in door replacement and home security. We only hire skilled techs. Our company provides dependable and reputable support at rates which are unequalled. For clients who are creating their perfect house, give us a chance to help with setting up entry doors. We’re skilled and can install and repair both exterior and interior doors for your new house. Furthermore, we provide you with a wide range of different types and colors of doors. We offer conventional wood doors, glass doors, classic French doors, and a lot more. Our up front pricing policy means that we tell you what the price will be prior to beginning any work. By doing this, you are able to budget how much your door repair/replacement/repair will cost. Our speedy and effective staff is standing by 24/7 to answer any queries you might have. For customers that are purchasing an existing property, door maintenance is a popular request. Door jamb repair and door hinge repair are common requests from homeowners. This is especially valid for first time homeowners. Often, they’re fixing up a home which was treated badly by prior owners. It is also true for people who own historical residences. Enhancements should be made in order to satisfy current day specifications and King Door and Lock is your trustworthy door installation Wicomico County service provider! Repairing front doors is another consistent request. This is due to weather-related wear and tear. This runs specifically true in Maryland where ice, snow, sleet, and heavy rains take their toll on dwellings. Our company is often employed to replace entry doors when the elements have been hard on a customer’s home. Also, we proudly provide a comprehensive selection of door hardware. We have a range of deadbolts, door handles, door knobs, door locks, and more. You can expect professional door services and we are able to take care of all your door installation needs. Our business clients are appreciative of our 24 hrs a day, 7 days a week door services for unexpected emergency needs. Commercial establishments count on doors to offer security. In cases where an automatic door malfunctions, alarm systems will go off. Similarly, if someone tries to pick a locking mechanism on a shop’s front door, our techs will come to fix the entrance door right away. When automated doors stop working, we are going to be there quickly to restore the proper operation of these doors. In addition, we install and repair fire-resistance doors in order to meet city codes and zoning regulations. One of our specialty services is to repair garage doors in Wicomico County MD. Our expert ’round the clock door solutions are meant to meet your needs exactly. This is very important in case your garage door ceases to work properly. Very often, a damaged garage door is a result of an electric motor or sensor breaking. If you are not capable of getting your automobile out of your garage, call us for courteous and polite service. For those who have any door installation Wicomico County concerns, we can easily come to your rescue. It doesn’t matter if you would like aid with industrial or household doors, call King Door and Lock Maryland and DC. Let our fast and friendly, professional staff aid you with all your door issues. Professional 24/7/365 Wicomico County Door Repair Service You Can Count On! 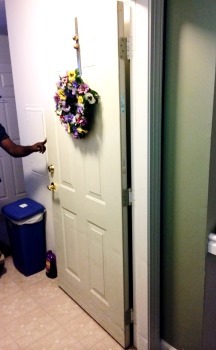 Door Installation Wicomico County, MD Service by King Door and Lock https://kingdoorandlock.com/maryland-door-installation/wicomico-county/ 4.0/5 based upon 11 reviews.